Kuntala waterfalls are located with a distance of 15kms from Neredikonda, about 45 kilometers from Nirmal, Nearly 60 kilometers from Adilabad and about 260 kms from Hyderabad, it's situated on kadam stream in middle of the Sahyadri range dense forest near to Neredikonda village in Adilabad District of Telangana. This falls are the best waterfalls in the state of Telangana with almost 200feet. Kuntala waterfalls additionally referred to as shakuntala, it's the previous name for this waterfall and it's the name of the beloved spouse of king Dushyanth. The villagers consider that shakuntala used to bath through the waterfall. 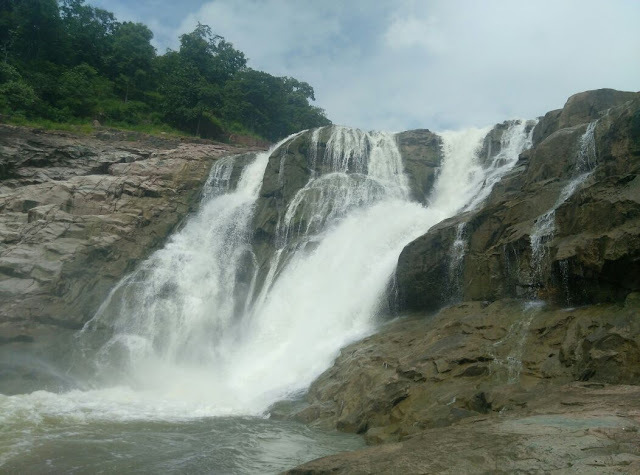 This is the best place to visit in one day for the travelers and trekkers, there are more waterfalls for trekking around this kuntala waterfalls. The place is more attractive in monsoon and post monsoon seasons, whereas traveling from Nirmal to Kuntala waterfalls we've got to go through a 10 kms of road from dense green forest it'll be an amazing experience. 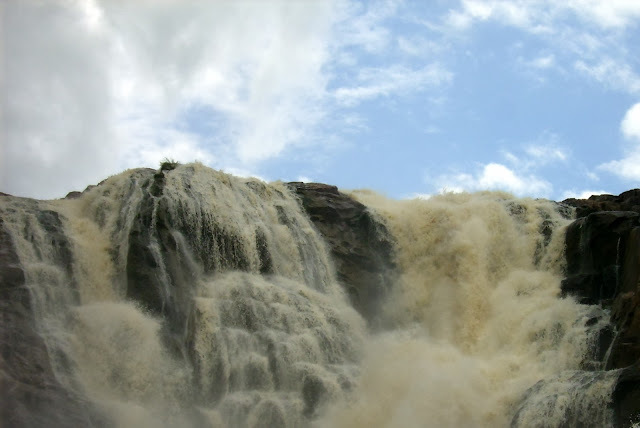 It is called as dangerous waterfall because of the sharp rocks and twists from that the water flows heavily, once the kadam reservoir releases water. The waterfalls in Adilabad district are becoming vast popularity because the district having dense forest, with the areas Jodeghat, Ragapur ghats in Tiryani mandal, the Gandhari fort in Mancherial and kosai within the Talamadugu mandal these are the eco-tourism spots and a few of the association president’s opinions and suggestions are government ought to arrange for the development of the eco-primarily based totally adventure tourism spots, so the social organization parents residing close to those tourism spots benefited by giving accommodation to the tourists which can raise financial income for them.